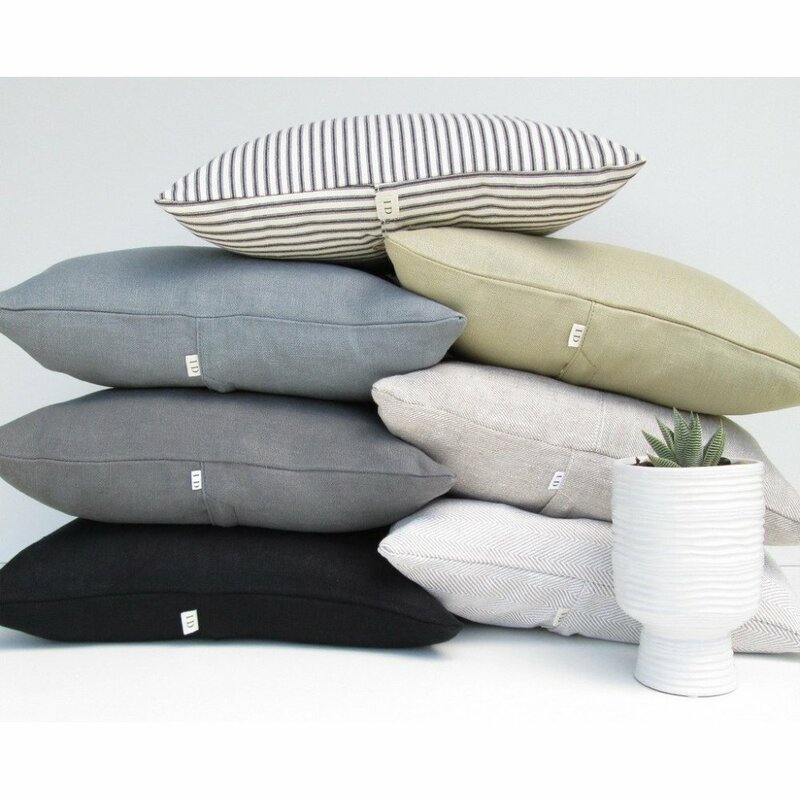 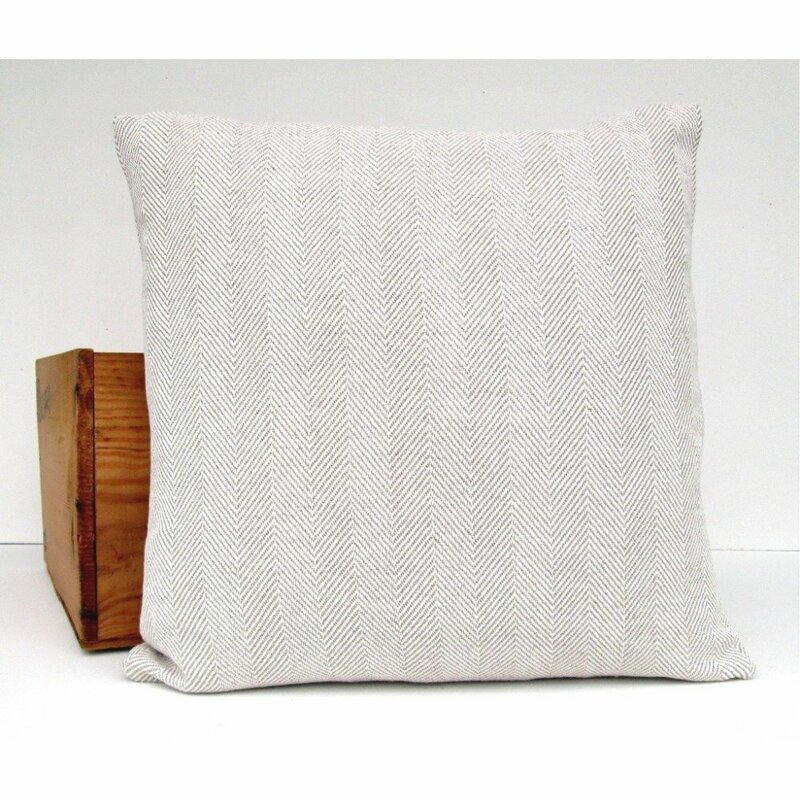 Our Proper Stuff Throw Pillow handmade in Oregon, USA from premium 13oz Herringbone Linen Blend (55/45 linen-cotton). 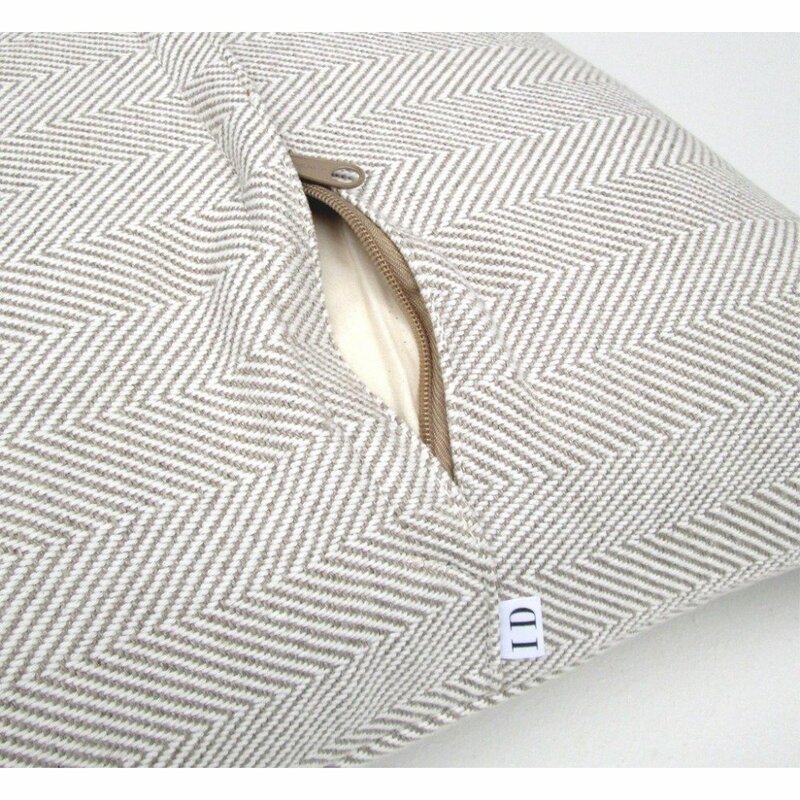 The neutral Herringbone pattern consists of undyed linen & cotton. 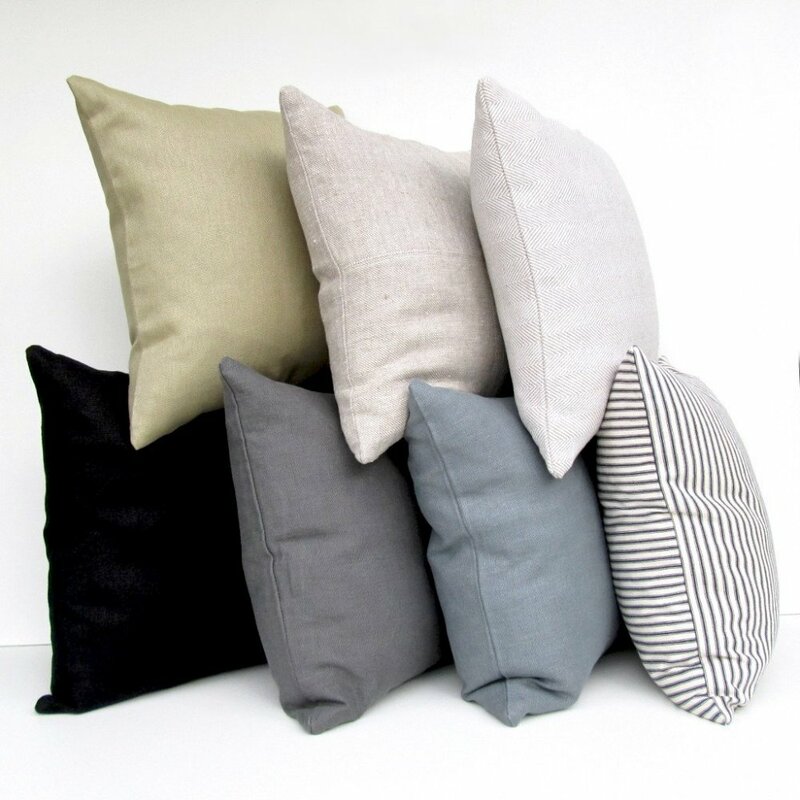 This fabric has an extra-soft hand and is one of our best sellers.